The tail of a 99-million-year-old dinosaur has been discovered in Myanmar, complete with feathers, bones, and soft tissue, according to a new report. 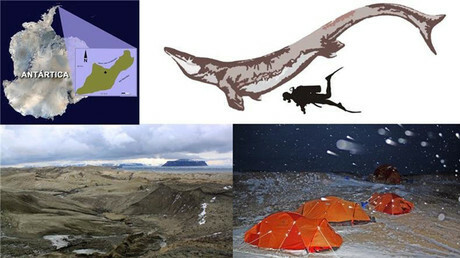 The finding is the very first of its kind, much to the delight of scientists across the globe. 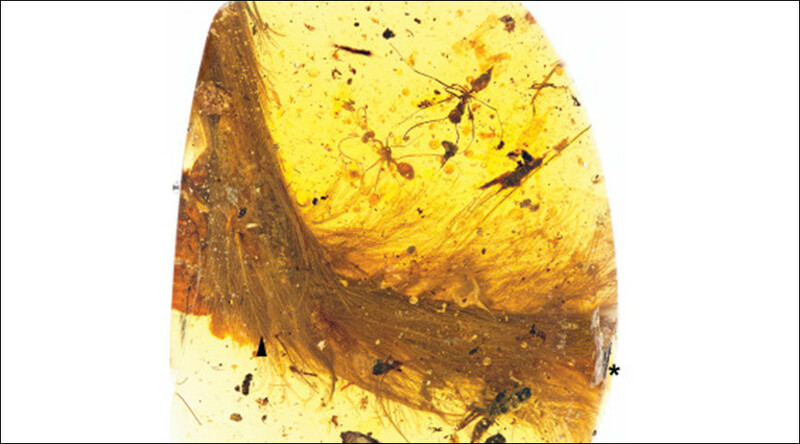 “Previous finds in amber have included isolated feathers that may have belonged to dinosaurs, but without an identifiable part of the body included, their source has remained open to debate,” Xing told the Canadian Broadcasting Corporation (CBC). McKellar also told NPR that the finding is a “spectacular little glimpse,” as it gives scientists a “pathway that gets us to modern feathers” – a particularly useful finding, since the theories on how feathers evolved has long since been the topic of debate. The fact that traces of iron from blood hemoglobin is present in the specimen also provides hope for future analysis which might provide scientists with “other chemical information on things like pigmentation or even to identify parts of the original keratin,” McKellar told National Geographic. 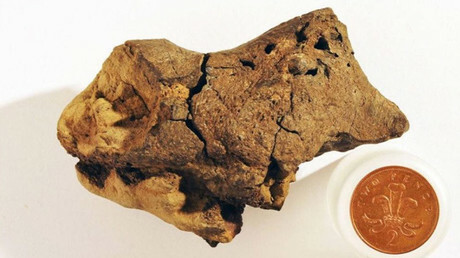 Xing and his colleagues say that the tail belonged to a young coelurosaur who they have nicknamed ‘Eva.’ They believe its feathery tail became stuck in tree resin around 99 million years ago, when it was about the size of a sparrow. It never made it out, and its tail eventually became well preserved in amber. Had the coelurosaur – a dinosaur species closely related to the tyrannosaurus rex and velociraptor – been lucky enough to reach adulthood, it would have grown to be slightly smaller than an ostrich. The tail and its accompanied amber was dug out from a mine in northern Myanmar's Hukawng Valley, located in Kachin state. Amber from the region is believed to contain the world’s largest variety of animal and plant life from the Cretaceous period. Xing believes his market stall discovery is the first of many to come, due to the conflict between government forces and local armed forces nearing an end in Myanmar. “Soon, there will be a lot of specimens excavated," he said, adding that his ultimate ambition would be to find a complete dinosaur. The study by Xing and his colleagues was published in the journal Current Biology on Thursday.